Goofy Foot: An Alex Rasmussen Mystery. New York: St. Martin's Minotaur, February 2004. First Edition, First Printing Glossy Pictorial Wraps AS NEW in AS NEW DJ 8vo (5-3/4 x 8-1/2), 292 pp. Hardbound book is FINE (unread, unmarked except for black remainder dot on the bottom page block) and AS NEW in AS NEW glossy pictorial DJ. (h) This third Alex Rasmussen mystery follows his award-winning "The Heaven Stone" and "The Skelly Man," and was followed by "The Marble Kite." 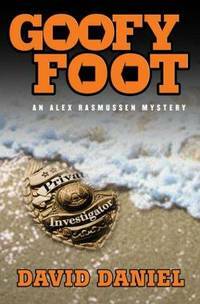 Goofy Foot: An Alex Rasmussen Mystery (SIGNED). New York: St. Martin's Minotaur, February 2004. First Edition, First Printing Glossy Pictorial Wraps AS NEW in AS NEW DJ 8vo (5-3/4 x 8-1/2), 292 pp. Hardbound book is FINE (unread, unmarked except for black remainder dot on the bottom page block) and AS NEW in AS NEW glossy pictorial DJ, signed by the author on the title page. (h) This third Alex Rasmussen mystery follows his award-winning "The Heaven Stone" and "The Skelly Man," and was followed by "The Marble Kite." Tabula Rasa (Signed by the author). Orlando, FLA: Harcourt, 2005. First Edition, First Printing Hardcover AS NEW in AS NEW DJ 8vo (6-1/4 x 9-1/4), 290 pp. Hardbound book is FINE -- Signed by the author on the title page, otherwise Unmarked, Unread, AS NEW in AS NEW unclipped glossy pictorial DJ protected in mylar cover. (h) Shelly Ruben is a licensed P.I. and a Certified Fire Investigator, which may be the reason -- after more than 20 years investigating fires and arson -- her books ring with such a sense of reality happening before our eyes. Her previous books -- "Origin and Cause," "Spent Matches," "Julian Solo," and "Weeping," all stand hgi habove most of the others attempting to deal with this subject. "Tabula Rasa." about a fire in which two children are killed becomes more complex when another child is found hiding under the porch. It is based on an actual case of multiple murders. 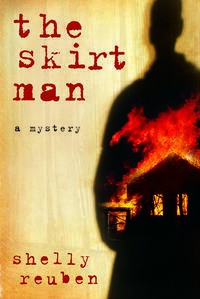 Her next book -- "The Skirt Man" follows this case with another investigation by the same duo -- State Trooper Sebastian Bly and Fire Marshall Billy Nightingale. The Skirt Man (Signed by the Author). Orlando, FL: Harcourt, 2006. First Edition, First Printing Hardcover AS NEW in AS NEW DJ 8vo (6-1/4 x 9-1/4), 250 pp. Book is signed on the title page, otherwise Unmarked, Unread, and AS NEW in AS NEW unclipped glossy pictorial DJ, protected in Mylar cover. 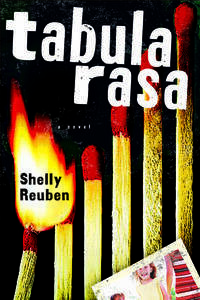 (h) Return of the team from "Tabula Rasa" -- State Trooper Sebastain Bly and Fire Marshal Billy Nightingale, this time a case of a house fie that seems to be the result of spontaneus human combustion of a Killdeer local eccentric who drives his tractor wearing a skirt. Another fire mystery so real you can smell the smoke by Ms Reuben, who is a licensed P.I,. and has been a certified fire and arson investigator for more than 20 years. Justice in Manhattan: The Adams Round Table. By Adler, Bill -- Editor and Creator. New York: Longmeadow Press, 1995. First Edition, First Printing 1/4 cloth AS NEW in AS NEW DJ 8vo (6-1/2 x 9-1/2), 217 pp. Hardbound book is unmarked, unread, and AS NEW in AS NEW pictorial DJ. (h) The Adams Round Table is a group of mystery writers that meets and discusses topics. The topic of the 10 short stories in this volume is justice -- What is it? Who has the right to dole it out? Who deserves to die for it? The writers are: Mary Higgins Clark, Thomas Chastain, Stanley Cohen, Mickey Friedman, Justin Scott, Joyce Harrington, Judith Kelman, Lucy Freeman, Dorothy Salisbury Davis, and Warren Murphy. Previous Adams Round Table books have been "Murder in Manhattan," "A Body is Found," and "Missing in Manhattan." Mortal Remains in Maggody: An Arly Hanks Novel (SIGNED, INSCRIBED). New York: Dutton, 1991. First Edition, First Printing 1/4 cloth AS NEW in NEAR FINE DJ 8vo (5-3/4 x 8-3/4), 294pp. Book is AS NEW, Glossy pictorial DJ is FINE except for a vertical tear (taped) in the lower back of DJ close to ther spine. Ms Hess has signed and inscribed the book on the title page and also has crossed out "Mortal Remains in" and written, below "Maggody," "The Movie." (h) The novel involves a film crew coming to Maggody.